Genuine Subaru Parts are designed and engineered to meet precise specifications. They're built to fit and made to last meaning more kilometres of confident, trouble-free driving, and a Subaru that’s as close to original condition as possible. We have Australia’s widest range of Genuine Subaru Parts and an Australia-wide Dealer network. Meaning that you can access the parts you want when you want them. If you thought you couldn’t love your Subaru more, check out our range of Genuine STI Performance Parts. Engineered specifically to enhance the performance, endurance and appearance of your Subaru, Genuine STI Performance Parts allow you to customise your vehicle without compromising its quality and integrity. The Subaru Motorsport Parts Network has been established to service the true Subaru Motorsport enthusiast looking for genuine parts and genuine advice. These parts are Motorsport compliant and have been designed by factory engineers who understand the original design philosophy of your vehicle. 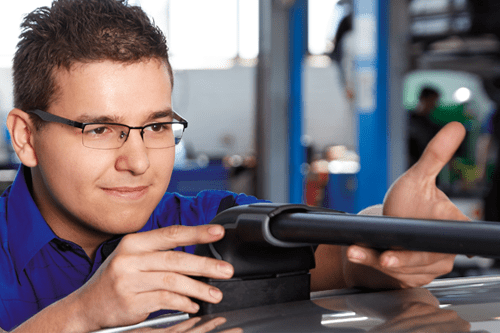 Parts and Accessories purchased by you that are fitted by an authorised Subaru Retailer are warranted for 3 years from the date of purchase if fitted at time of purchase of the vehicle, or for 2 years if fitted by an authorised Subaru Retailer any other time.